Technically Constantine is a comic book series, and not in the same category of books as the ones we've previously mentioned. However, we feel dark comic series like Constantine and others like it would be the perfect mediums for some seriously fun gameplay. Adapting comic books into games has worked wonders with the Batman franchise, so why not expand upon that success? One of our favorite comic book series is Constantine, which was recently adapted into a TV series (cancelled) and made into a film in 2005 starring Keanu Reeves (which we personally enjoyed). In a similar sense, we could also see like Jessica Jones, Daredevil, Preacher, or Spawn as other excellent games from the comic book realm! How would they play? Well, you could go the traditional route of the Batman games, or make them cut-and-dry FPS shooters with a twist and a seriously good plot. 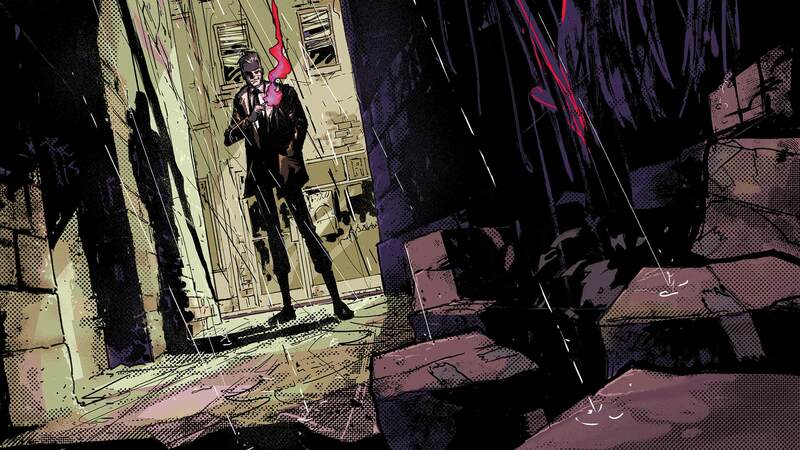 We can vividly picture fighting against demons as Constantine in a dark, noir setting. To be honest, just thinking about it makes us want to create this game ourselves.